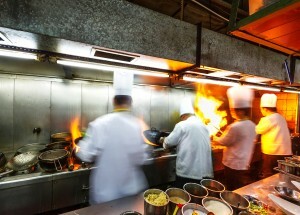 What are 3 types of thermal burn injuries? Burns are among some of the most catastrophic injuries an individual can sustain in an accident. They often leave victims in tremendous pain and with lasting disfigurement. A Chicago injury lawyer may see many burn injury victims throughout his or her career and therefore understands the pain that these individuals are forced to endure. The scars they receive are often emotional and psychological as well as physical. Accident injury victims can be severely affected by thermal burns. They are caused when the skin comes into contact with heated objects. The following three types of thermal burns are often seen following car accidents, and each of them can be deadly or cause victims life-long pain. According to the University of New Mexico, flashes occur when an explosion of gasoline, natural gas, propane, or other flammable liquids occurs. The heat can be incredibly intense, but only lasts for a brief period of time. In most cases, clothing is enough to protect skin from injury unless it ignites. In most flash burn injury cases, the skin on the head, neck and extremities are deeply affected, often with serious second-degree burns. These burns are extremely painful due to the number of nerves injured, and may easily become infected. The American Burn Association reports that 43 percent of burn injuries are caused by open flames. They may occur when individuals experience any prolonged exposure to intense heat. This can happen whenever there is an open flame. House fires, camp fires, auto accidents, and the improper use of flammable liquids can all cause these burns. A Chicago injury lawyer knows that no matter what causes these injuries, the effects can be deadly. Depending on the length of the exposure to the flames, accident victims can receive minor first-degree burns and full thickness second-degree burns in which almost all layers of skin are destroyed. When the worst accidents occur, individuals may experience the destruction of all layers of skin and potential damage to organs in the burned area. Burns may cover a large percentage of the body, which is often fatal. When the skin comes into contact with hot metal, plastic, glass or coals, contact burns occur. Woodstoves, kitchen stoves and other hot materials often cause these burns, which are often very deep and painful, but generally confined to a single small area of the body. According to the ABA, over 450,000 people receive treatment for their burn injuries every year, and 40,000 must be hospitalized. For 30,000 individuals, their injuries are so severe, they are treated at specialized burn centers. Those who have endured the agony of a burn injury should contact a Chicago injury lawyer for assistance in seeking compensation for their injuries.